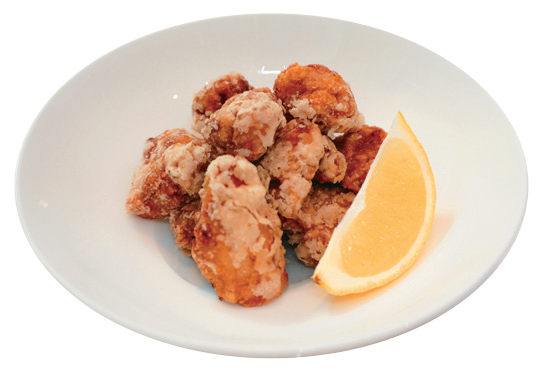 Karaage is a mainstay on izakaya menus, and popular in both Japan and Australia. Its crunchy coating and juicy, garlic-infused flavour have earned it a place as one of Japan’s most well-known and wellloved menu items amongst young and old alike. Furthermore, you can easily recreate the flavours you enjoy dining out in the home as well. For the chicken, you can use thigh or breast meat. The secret to achieving the same crunchy texture you find in your local izakaya is the two-step deep frying process. Prepare your karaage the day before, and deep-fry and serve to guests on the day of a party or other event, so your guests won’t be left wanting. Cut the chicken meat into bite-sized pieces. If you don’t like the skin, you can remove it at this step. Finely grate the ginger and garlic. You can reduce the amount of garlic as needed to suit your taste. Combine Step 1 and Step 2 with the soy sauce and sake and mix well, then place in the refrigerator for 20 minutes, or up to one hour, if time permits. Heat a pot with the cooking oil on medium heat. Remove any excess liquid from the chicken, and coat with a mixture containing equal parts potato starch and flour. Lightly squeeze the chicken into a round shape at this stage to form its final shape. Deep fry Step 5 in the oil at a low heat, then after three minutes, remove and place on a paper towel. With the oil at a high heat, deep fry the chicken for a further two minutes. This two-step process of deep-frying the chicken gives it its crunch. When complete, squeeze fresh lemon over the karaage to taste. 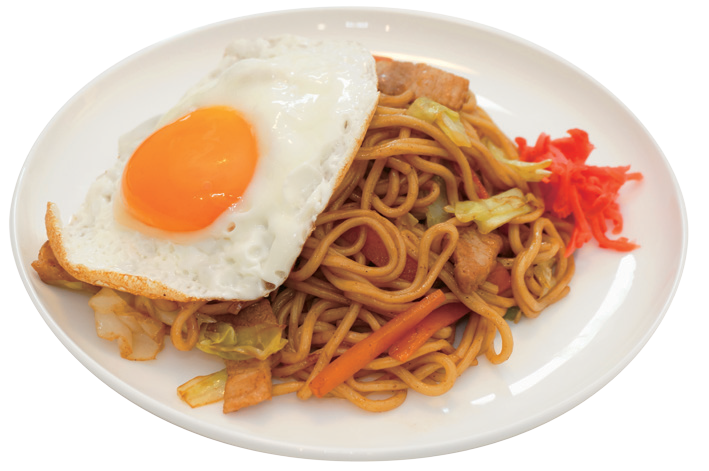 Yakisoba is a popular Japanese dish that is frequently served at Japanese restaurants in Australia. In Japan, yakisoba is known as a food that can be quickly and easily made at home in addition to being a staple of stalls at local festivals. The ‘yakisoba sauce’ and ‘noodles’ included in the ingredients can be sourced from stores that sell Japanese ingredients. Yakisoba sauce is often found in the condiments section alongside okonomiyaki sauce and mayonnaise. For the noodles, you can use vacuum-packed dried noodles or those in the chilled section. You can also find the thinly sliced pork belly in Asian supermarkets. Cut the pork belly slices into two to three pieces each, and cut the vegetables into bite-sized pieces. Put some oil in a fry pan and bring it up to heat, then add the pork and cook until sealed, and add salt and pepper to season. When the pork has been cooked through, add the onion and carrot and cook for two to three minutes, then add the cabbage and cook lightly. The vegetables do not need to be cooked through at this stage. Heat the noodles for 30 seconds at 1000w in a microwave and loosen them out into the fry pan, then add the sake (or water) and cover the fry pan. Let it steam for around five minutes. Remove the lid, and untangle the noodles with chopsticks. Add the yakisoba sauce across the entire fry pan mix the ingredients so that they combine with the sauce. Plate the yakisoba, add the red pickled ginger and nori, and you’re done! Top with sunny-side up eggs or mayonnaise to taste.